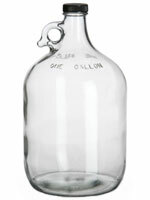 Glass jugs are defined as any container made of glass that includes a handle with a mouth smaller than half its diameter. They are mostly used to store certain liquids like sauces and other perishable food items. 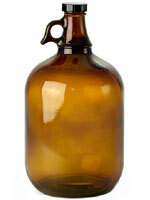 The biggest drawback to using glass jugs instead of plastic is their impact resistant, overall cost, and weight. They can break, they are more expensive, and they are heavier to ship and carry. However, they do have their advantages over plastic. For instance, they do not suffer from paneling. The distortion of a plastic container over time do to changes in pressure. The choice between plastic and glass will ultimately be determined the material you are trying to store. Food items may be better suited for glass and chemicals are usually better suited for fluorinated plastic.